I teach fifth graders. They are free-spirited, opinionated, hilarious, and often a mess all at the same time. They still love their teacher (at least for the first half of the year) and they want to work hard to prove that they are ready for middle school. I have; however, discovered something interesting about fifth graders. They are amazing role models to the younger generation. If you have every taught fifth grade, I am sure you are about to roll your eyes at me, but hear me out! For the past eight years, a kindergarten teacher and I hold a weekly half hour book buddy session. 6. When the Scholastic Book Fair rolls around, my fifth graders are there to help their book buddies write down book titles on their "wish list." 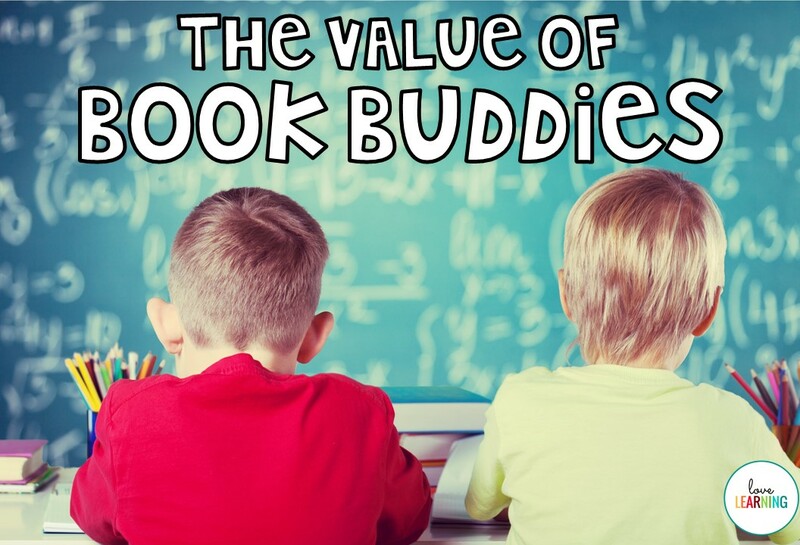 Book Buddy time is not a break in the week, a time filler, or a "fun activity." Our time with our book buddies is meaningful for both the kindergartners and fifth graders. My fifth graders quickly realize just how.much.energy. kindergarten students actually have. When students come to me in fifth grade, they talk about the book buddy that they had when they were in kindergarten and still remember their name! When they see each other in the hall, both sets of kids wave frantically as if they have seen their best friend. You would THINK that a fifth grader would be too "mature" for this, but everything goes out the window when it comes to that little 5 or 6 year old! I have watched the most challenging students in my class turn into different kids when they are with their book buddies. They treat them like a little brother or sister and want to teach and protect them. this is one activity that I refuse to give up. 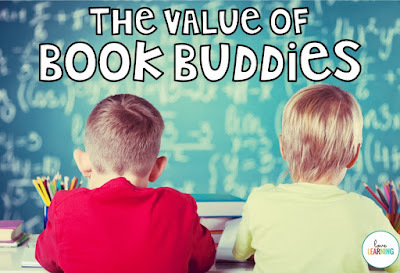 If you are considering trying book buddies with another teacher, students do not have to be quite that far apart in age. A coworker of mine successfully held book buddies with a third and fourth grade class. They helped each other with academics and the older students tutored the younger class or helped them study. Try it! You will NOT regret it!